With marijuana laws relaxing around the world, here’s how things are playing out in the USA. There’s a revolution underway on US soil, and it’s of a decidedly different shade than the orange smear painting the White House. The Red White and Blue is quickly gaining a green backdrop of States that have comprehensive cannabis laws in place. 31 States (as well the District of Columbia and territories of Guam and Puerto Rico) have legalised the medical use of cannabis with a doctor’s recommendation. 15 States have laws that limit THC (the main psychoactive element in Cannabis) content, specifically to allow access to products that are rich in cannabidiol (CBD), a non-psychoactive component of cannabis. Canada has just become the second nation to legalise the recreational use of Cannabis, joining Uruguay. If the US keeps on the trajectory it’s been on, it won’t be far behind. This tidal shift has potentially severe repercussions for multiple industries, not least the beverage alcohol sector. Molson Coors and Constellation Brands have made significant investment in the cannabis market already, with spirits giant Diageo reportedly looking at a deal with a Canadian cannabis firm. What is now a roughly $7 Billion market is projected to grow to $23 Billion by 2021. In a stagnating global alcohol climate, this represents massive opportunity for the big players. The impending integration of these two spheres has already slowly begun to take shape. Trade shows are springing up, with the most noticeable being the Cannabis Drinks Expo in San Francisco 2019, put on by the Beverage Trade Network. The Lagunitas Brewery out of California has just launched a ‘non-alcoholic, IPA-inspired, THC-infused sparkling water’. Bartenders have been tinkering with ‘green dragon’ infusions for decades, but over the last few years have started ‘legally’ tinkering with cannabis in a more professional and controlled environment. The commodity that a large majority of big beverage companies and consumers are closely monitoring is cannabidiol, or CBD. Touted as a non-psychoactive component derived from the hemp plant, CBD has attracted global attention for its medicinal qualities that include pain alleviation and anxiety reduction. Hess Moallem, CEO of Charlotte’s Web, a proprietary hemp genetic and the largest CBD company in the US by market share, believes the two industries will find a way to integrate, although regulation will have a say in how that occurs. As if on cue, California has overwhelmingly voted for Assembly Bill 2914 in the recent elections, which prohibits alcoholic beverage licensees from ‘selling, offering or providing cannabis or cannabis products, including an alcoholic beverage that contains cannabis or cannabis products.’ For a trend largely believed to be founded in West Hollywood at Gracias Madre in 2016, when bartender Jason Eisner presented a spate of CBD infused cocktails on the menu, this is a setback for a movement with a solid grounding in the Western state. With the bill not coming into effect until January 1st 2019, it will be interesting to see whether bartenders continue with their experimentation, or dial back with respect to the impending laws. Preliminary reactions show a swath of bartenders in favour of the regulations, citing the numerous unknowns with mixing the two substances. New York however shows no signs of slowing, with the bar director of the Williamsburg Hotel, Rael Petit, a leading proponent of CBD cocktails. He currently has a drink on the list with Bolivian brandy, Japanese rice whisky, maple syrup, lime, and coconut water, then finished with a CBD spritz. 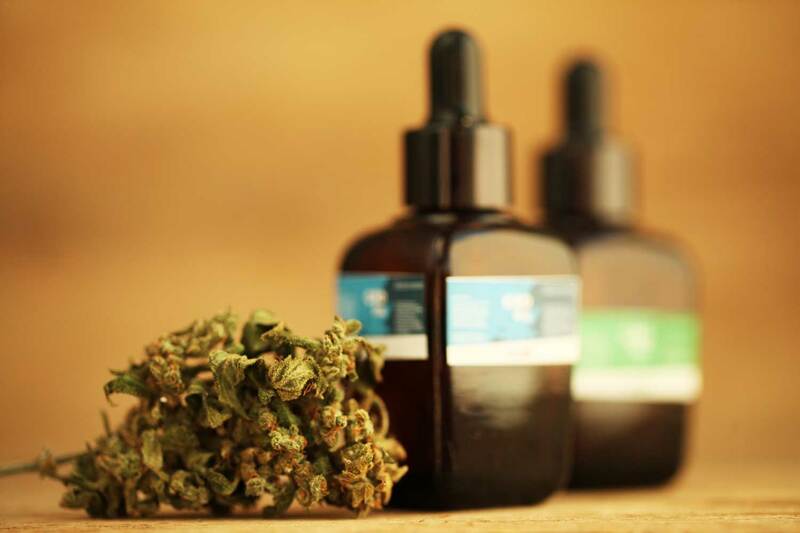 Petit cites the flavour profile of CBD as being interesting to experiment with, along with the calming effects that CBD possesses potentially lending a helping hand to anxiety prone guests. The food sector is getting in on the game as well, with Van Leeuwen and By Chloe offering limited edition CBD infused snacks. There are a vast number of unknowns, and Moallem is adamant that Charlotte’s Web is focused on CBD as a category in its own right, although a close eye is being kept on collaborative opportunities across multiple categories including beverage.. As both industries evolve and regulation shepherds unbridled progress, a clearer picture will emerge of what the future landscape will look like. For now, the gradual lifting of Cannabis prohibition throughout North America presents an interesting proposition for a region still largely governed by alcoholic laws in place since Repeal Day in 1933.